Mike worked for several years as management consultant specializing in communications, group animation and community and organizational development. His work experiences include Superintendent of Social Service in Baffin, senior management positions in Yellowknife with the territorial government and his own consulting firm to do community and organizational development work. He has worked on a wide variety of projects in the areas of community justice, health care and addictions, education, political and economic development and community planning. Much of his work focused on the development of aboriginal self-government. Mike has a special interest in helping to build a conceptual bridge that links the traditional teachings of aboriginal elders with the insights of the new science and cosmology. These insights are leading to a growing awareness that organizations and communities are organisms, are part of a living universe, have a self-organizing capability and are guided by the same developmental principles that guide the development of the earth itself. Mike was, once a fellow monk with Thomas Berry and has a special interest in bringing Berry’s Earth Spirituality to local communities. He lives in Comox, with his wife Arlene. He volunteers in a number of community efforts opposing coalmines and pipelines. He is working to help develop a community climate change culture. Dianne lives in Sechelt, British Columbia on Canada’s West Coast. She graduated from the University of British Columbia in 1983 with a degree in Psychology and Anthropology. From 1983 until 2017, she lived in Winnipeg with her life partner and they raised three daughters. Between 1992 and 1995, Dianne and her partner worked with the Methodist Church in Trinidad and Tobago. Travel in The Philippines, Central America, Israel and Palestine has honed her commitment to human rights, cross-cultural dialogue and non-violent communication. Dianne has worked in child and adolescent mental health, sexual abuse treatment and recovery work and with adults with disabilities. She works in private practice as a therapist, consults with groups around organizational development, designs and offers retreats, and has a keen interest in support for people at the threshold of life, helping with life-end conversations with clients and families. Jennifer Berezan is a unique blend of singer/songwriter, teacher, and activist. Over the course of eight albums, she has devel oped and explored recurring themes with a rare wisdom. 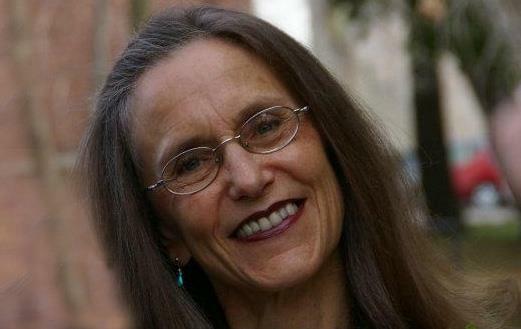 Her lifelong involvement in environmental, women’s, and other justice movements as well as an interest in Buddhism and earth-based spirituality are at the heart of her writing. Her intense and personal approach to music as a transforming experience has brought her strong rapport with audiences from small clubs to large festivals throughout North America and Europe. Her ground breaking work as a recording artist and teacher has established her as a leading voice in the field of music and healing and she is an acclaimed producer of large scale multi-cultural ecstatic musical events. She teaches at the California Institute of Integral Studies in the department of Philosophy and Religion. Her on-going class (since 1997) is entitled “the Healing Ecstasy of Sound” and explores music as a spiritual practice from a wide range of cross cultural, traditional and contemporary perspectives. Dr. Pille Bunnell is a systems ecologist who has specialised in the integration and explanation of complex concerns for domain specialists, policy makers, students, and the public. As the Director of Environmental Literacy with an interna tional consulting firm she conducted integrative projects in the framework of Adaptive Environmental Management; dealing with concerns ranging from fisheries, wildlife and forestry, to land use management, energy use, and climate change. Over the last decade she has shifted her focus to cybernetics, investigating the relation between complex systems, human understanding, and human activities. Pille is currently particularly interested in the systemic nature of arising and evolving systems, the manner in which we distinguish and constitute our worlds in multiple relational domains, and the ethical and durability implications of different manners of human languaging and living. At RoyalRoadsUniversity she teaches courses in Systems Thinking and Systems Methods in the Masters of Environmental Management Program. After six years as President and Past President of the American Society of Cybernetics, she remains active with the society and serves on the editorial boards of Cybernetics and Human Knowing and Constructivist Foundations. In 2007 the ASC awarded Pille with the Norbert Wiener Medal for her contributions to Cybernetics. Ph.D. in Christian Spirituality from the Graduate Theological Union, and his M.A. in Theology from Oxford University. 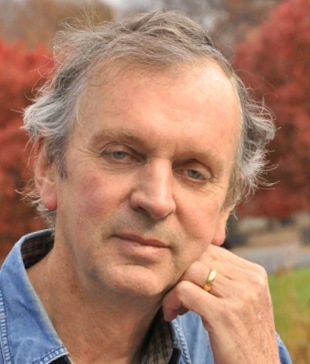 He is the author of The Word in The Desert: Scripture and the Quest for Holiness in Early Christian Monasticism (Oxford), The Blue Sapphire of the Mind: Notes for a Contemplative Ecology (Oxford), and is the founding editor of Spiritus: A Journal of Christian Spirituality (Johns Hopkins). For the past two years, he has served as co-director of LMU’s study abroad program, Casa de la Mateada in Córdoba Argentina. David left behind corporate and airline careers to pursue his passion for exploring the answers to humanity’s eternal question of our place in the Universe and to help bring forth a new story for our turbulent times. For the past fifteen years he has immersed himself in the works of scientists and thinkers such as Brian Swimme, Thomas Berry, Elisabet Sahtouris, James Lovelock, “Big Historians” such as David Christian, and many others. The dialogues within The Holy Universe are an outgrowth of this study as well as his work with the Pachamama Alliance’s “Awakening the Dreamer, Changing the Dream” Symposium. He wrote the book in part for people like him who call themselves “spiritual but not religious,” who are trying to make sense of the craziness going on in the world and who seek a meaningful path through the global crises we collectively face. David lives in Northern California, USA, and likes to hike and catch up on his reading and research when not traveling around the countryside speaking about The Holy Universe. Tony Clarke holds a masters and doctoral degrees in ministry and social ethics from the University of Chicago Divinity School. He served as the Director of Social Affairs for the Canadian Conference of Catholic Bishops between 1975 and 1994. 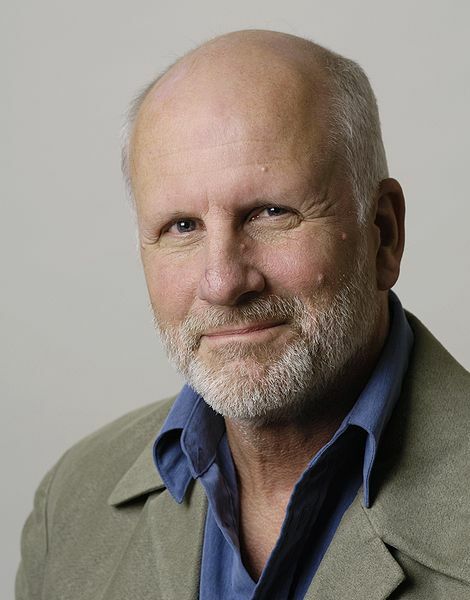 He is currently the founder and director of the Polaris institute in Ottawa and is the author of numerous books including Blue Gold: The Battle against the Corporate Theft of the World’s Water and, more recently, Tar Sands Showdown: Canada and the New Politics of Oil in an Age of Climate Change . Jim has degrees in chemistry from Assumption University of Windsor and later in theology from the University of Western Ontario. Today he pursues with “evolutionary faith” a passion for the wisdom that is revealed in the universe story, in the lives of his ancestors, and his own tradition. 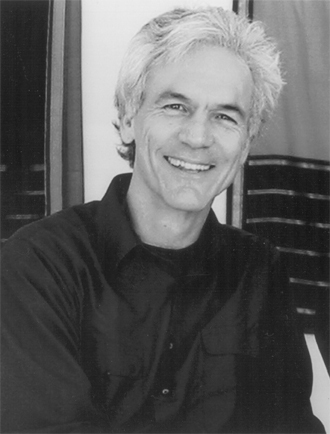 As a teacher and administrator, author and presenter, he strives to give voice to the cry of a people who find meaning in the narrative of their lives, in the promise of geo-justice, in the cosmic melodies that resonate among us, in the deep ponderings that take us to the precipice of new beginnings, and in the unspoken hunger that finds expression in the sacred impulses of our lives. Experience: Develops, directs and teaches programs in spirituality and culture, theological education, social and ecological justice, popular and adult education, community organization and development; and animates mediating structures of information, support and common action. Pauline is a masterful storyteller, Emmy-nominated screenwriter, and award-winning novelist for The Song Spinner. She is a professional singer who has recorded five CDs of her original music. A provocative keynote speaker, she has been called “an aphrodisiac of ideas. Pauline’s most recent book, Becoming Intimate with the Earth, published by Collins Foundation Press, is a powerful guide to healing our relationship with our planetary home. Her poetic, musical telling of the evolutionary story of the universe has received praise from participants, educators, and the scientific community. Visit her website or email Pauline. Ilia is a Senior Fellow at Woodstock Theological Center and Director of the Catholic Studies Program at Georgetown University. Prior to Woodstock she was Professor and Chair of Spirituality Studies at Washington Theological Union where she taught in the areas of spirituality, Franciscan theology and Science and Religion. 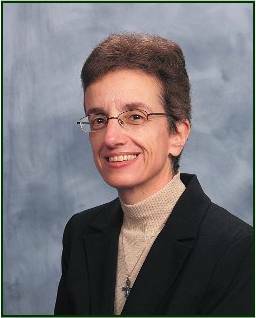 She holds a doctorate in Pharmacology from New Jersey Medical School-Graduate School of Biomedical Sciences and a doctorate in Historical Theology from Fordham University. She is the author of twelve books and numerous articles. Her most recent book The Unbearable Wholeness of Being: God, Evolution and the Power of Love will be published by Orbis Books in 2013. 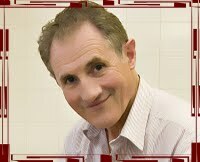 Denis was born in Edinburgh, Scotland. 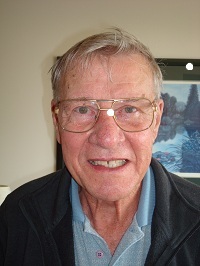 He got involved in folk and choral music in the early 60’s, eventually graduating in 1977 from the University of Victoria with a Bachelor of Music Degree. After graduation he became Director of the Victoria Conservatory of Music, leaving in1999 in order to pursue his own musical creativity.Denis is a songwriter, and plays guitar, Irish harp, and piano. He has been associated with a number of choirs and vocal groups as arranger and conductor, and is director of Soundings, a 26-voice vocal ensemble, and co-director of the Gettin’ Higher Choir and the highly successful Community Choir Leadership Training Program. For many years Denis has accompanied the poet David Whyte on his tours to Ireland, where he enlivens groups with singing and music. Also active as a poet, Denis leads courses and workshops in poetry, where he seeks to bring people into an awareness of the wisdom that is expressed through the poetic tradition. Duane is an internationally recognized, visionary speaker and author. His books include: The Living Universe, Promise Ahead, Voluntary Simplicity, and Awakening Earth. He has worked as a senior staff member of a Presidential Commission on the American Future and as a senior social scientist with the think-tank SRI International where he coauthored numerous studies of the future. 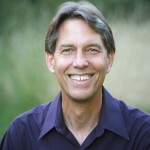 In 2006, Duane received the international “Goi Peace Award” in recognition of his contribution to a global “vision, consciousness, and lifestyle” that fosters a “more sustainable and spiritual culture.” Visit Duane’s website. Barb ara Fiand is a Sister of Notre Dame de Namur. She gives retreats, workshops and courses throughout the country and abroad on issues related to holistic spirituality, prayer, religious life, feminist spirituality, transformation of consciousness, quantum spirituality, and the psychology and spirituality of human maturation. She is the author of ten books, Awe-Filled Wonder, The Interface of Science and Spirituality; Releasement, Spirituality for Ministry; Prayer, Quest, Healing; Embraced by Compassion, On Human Longing and Divine Response and more as well as numerous articles as well as cassette tapes. Lisa heard her calling in 1980 from a tenacious little pine tree hanging off a bare rocky cliff. The pine tree said, if I can hold on in these circumstances, so can you! This experience motivated Lisa to continue her ecological and political studies at U of T and York U, culminating in a Masters in Environmental Studies. She since spent 30 years serving not-for-profit and government agencies with conservation mandates in B.C. On the verge of burn-out in 2014, Lisa softened her approach to advocacy while participating in Courage & Renewal(TM) retreats and is now facilitating those retreats in Canada. Courage & Renewal workshops have refreshed the connection between Lisa’s public role and her private soul. Lisa is enjoying a less adversarial approach to seeking urgent political and economic change and wants to share that with others. For Gerald, unity with Earth life is based in physical engagement and contact. He works and leads in native habitat renewal projects in urban watersheds, and supports the work with prose, poetry and many committee meetings. Participating in Earth Literacies programs strengthens and clarifies Gerald’s calling to reconnect himself and others with the community of life, local and global, inner and outer. Sister Cecilia Hudec is a Sister of Charity with a MA Earth Literacy (2002), a teacher and a facilitator of adult learning and praying. She has a deep passion and love for her Planet Home and its inhabitants which expresses itself in works of justice and advocacy. She loves her daily walk along the Fraser River attending to the natural community living there. Karen is an ecological futures specialist who assists filmmakers, students, organisations, filmmakers, and communities in creating projects that contribute to sustainable and just futures. She believes that the images and stories we create have the ability to guide and inform our actions towards diverse, green and peaceful futures. Karen worked for many years as an environmental planner, and then completed an interdisciplinary PhD on images of futures in film. She teaches part-time at the University of Victoria, has written many articles, and a book chapter, on sustainable and just futures. She also had a restaurant along the way and now is active in protecting land for organic farming and writes about food in the future. She also works with First Nations to protect their lands and their place in Canada’s future. Jan has a background in somatic psychotherapy, adult development, public engagement processes including the use of popular theatre and the creative arts. She has worked in the field of climate change for 30 years both as a grassroots activist and academic. She was a founding board member of the Calgary Eco Centre, a board member of the Canadian Dialogue and Deliberation Community, Co-director of the Calgary Integrative Body Psychotherapy Institute, and co- founder of the Show and Tell Theatre Collective. Her PhD focused on the social economic paradigms underlying climate change. She has worked with Joanna Macy’s concepts of despair and transformation since the 1980’s. Gertie Jocksch is a Sister of Charity of Halifax. She holds a Masters of Divinity and a Doctor of Ministry from Regis College and the University of Toronto, Toronto, ON. Over the last several years her work experience include Director of Field Education at RegisCollege, Campus Ministry and Director of Graduate Theology Programs at St. Mark’s College in Vancouver. A passion that has continued to evolve Gertie’s work has been her concern and care for Mother Earth. This work included participation in the development of the Centre for Earth and Spirit as well as coordinating programs, facilitating programs and administration. Presently Gertie coordinates the work of The Living Language Institute Foundation developing Programs in Earth Literacies and facilitating programs. Gertie also teaches in the area of Ecotheology and Ecofeminism. Monica Kaufer coordinates a small Cenacle Retreat House, while also facilitating retreats for groups and individuals. Spiritual companioning, healing bodywork and the Exercises of St. Ignatius are important aspects of her ministry. Dawn and Barry are seasoned facilitators who have worked with the Enneagram since 1985. They each have private practices in counseling and spiritual direction and are members of the leadership team of The Pacific Jubilee Program in Spiritual Direction Training. They offer workshops and groups that help people open to and honour their own inner work, the work of others and the Great Work. To assist individuals and groups on their unique paths of personal and spiritual growth, they draw upon their backgrounds in theology, spirituality, psychology and inner process facilitation. Their approach to the Enneagram attempts to honour its beginnings and development in ancient spiritual tradition by focusing upon energetic patternings, inner motivation and the nurturing of our essential selves within the context of an interconnected greater whole rather than simply upon behavioural manifestations and personality traits. Dawn and Barry have found the Enneagram to be a profound tool for transformation for those ready and willing to explore that which both honours and goes beyond personality and is at the heart of our existence as human beings who seek to integrate inner and outer life with all of creation and to take our place within the cosmic whole. Educational Background: MREd – Fort Wright College, Spokane, WA. MA in Spirituality – Mundelein College, Chicago Ph.D. in Ecological Spirituality – The Union Institute and University, Cincinnati Alexandra is well known in the United States and internationally as a teacher and lecturer on ecological and creation spirituality, eco-feminism and religious life. She was Program Director, instructor, and staff member at The Institute in Culture and Creation Spirituality (ICCS) in Oakland, California for four years. She has been visiting professor at University of Creation Spirituality/Wisdom University and Holy Names University (Sophia Center) in California. Her publications include, Prayer – A Discovery of Life (Minneapolis: Winston, 1983) and Spirituality and Creation (New York: United Church, 1988). Alexandra is currently involved in the ministry of spiritual direction and retreat facilitation. She is also Adjunct professor in the field of spirituality for the School of Theology and Ministry (STM) at Seattle University. She is the Executive Director of GreenHearth that focuses on urban ecology and spirituality. Alexandra was born in Hungary, and escaped with her family during the Freedom Fight in 1956. They settled in Vancouver, British Columbia. She remains a Canadian citizen. Rachelle Lamb has been working in the field of ‘communication and relating’ for most of her adult life. She is a speaker and author, internationally recognized trainer of Nonviolent Communication (12 years) and has been studying with Stephen Jenkinson (subject of NFB film Griefwalker 2009) for the past 2 years. Her work has over time has developed significantly to not only include but to highlight the above mentioned themes. For more information, visit her website. Jackie Larkin and Maggie Ziegler are active in social justice and environmental movements. Jackie works as a consultant, designing and facilitating a variety of courses in leadership development, strategic planning, and facilitation skills for unions, non-profits and in the health care sector. She is an active Board member of Toxic Free Canada. Maggie, a psychotherapist and educator in the trauma field, both in B.C and internationally, also provides a wide range of consulting and facilitation services to the non-profit sector. She is currently the vice-chair of the Salt Spring Island Transportation Commission. Jackie and Maggie have been co-facilitating Work That Reconnects retreats and workshops since 2000. Jackie and Maggie have trained with Joanna Macy in the Work That Reconnects and have co-facilitated workshops and retreats for seventeen years. Passionate about Earth and committed to social and environmental change, they integrate diverse experiences and interests into dynamic and transformative workshops. They welcome the opportunity to share facilitation with Maxine. “World-view changing work that opens the heart and cleanses the spirit, and provided me with a new supportive network of others who want to bring hope and change into being.”– 2008 participant. 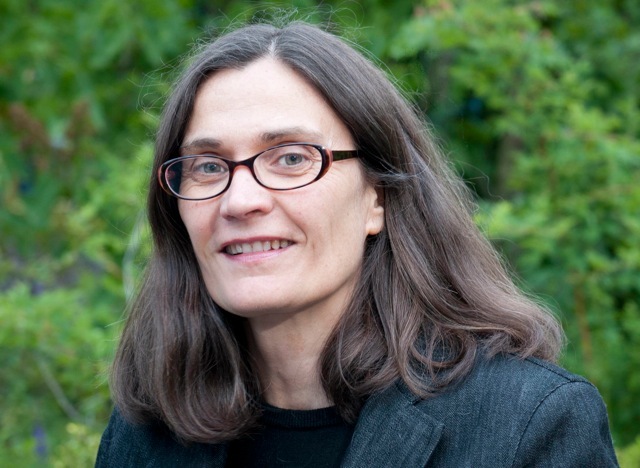 Dr Maija Heimo is a broadly trained cultural geographer (PhD from UBC), an agronomist and gardener, and an artist. 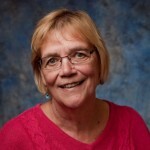 She has taught human geography courses at UBC, SFU, and ThompsonRiversUniversity. Her research has focused on the politics of environmental decision making and land use, as well as perceptions of Indigenous knowledge about nature. She has also explored the significance of place and self in the process of migration whether within one’s original country or internationally, and she has participated in the work of some Indigenous Sami people of Finland in their efforts to protect their significant places from commercial exploitation and to prepare documents for land claims. She lives on a small farm in McLure, North of Kamloops, where she and her artist partner raise chicken and grow their own food. 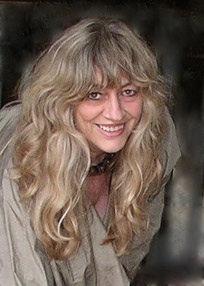 Hilary Leighton, is most at home in the forest where her own re/search was informed from a tender age by an early deep and vivid resonance and fascination for imaginative happenings, associations, sensory experiences, illuminations and observations of living processes and universal patterns in wild nature. This childhood enchantment, and a rooted belief that all teaching is an act of love and remembering, infuses her writing, teaching and learning and grounds her to be a natural educator, a perennial learner, a tireless advocate for well-being and a wild poet at heart! Hilary holds a Master of Education, Curriculum and Instruction from Simon Fraser University, has studied Ecopsychology at the graduate level at Naropa University, and is currently completing a three year program in Integrated Body Psychotherapy Practitioner Training, and not least of all embarking on an interdisciplinary doctoral study program in EP. 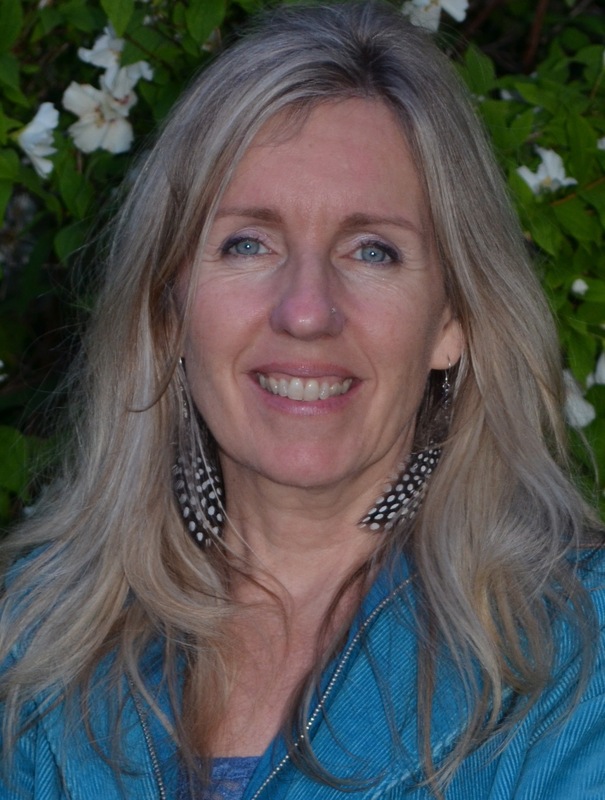 She is a certified Laughter Yoga Leader, a certified Myers-Briggs facilitator, and an active participant on the Education Committee of the Haven Institute, Gabriola Island, BC and a founding director of the Child Nature Alliance. Although she spends most of her days imagining and designing ways to bring pedagogical spaces of possibility as the Director of Continuing Studies at Royal Roads University, Hilary derives the most satisfaction from the generosity of teaching and encouraging others. She can be found falling more deeply in love with world in Victoria, BC, Canada in a renovated 1948 farmhouse with her 80 year young mother and a giant white dog that she runs with at dawn. Jaymie Matthews is an astro-paparazzo who unveils the hidden lifestyles of stars by eavesdropping on “the music of the spheres.” His version of an interstellar iPod is Canada’s first space telescope, MOST (which stands for Microvariability & Oscillations of STars), which detects vibrations in the light of ringing stars too subtle to be seen even by the largest telescopes on Earth. 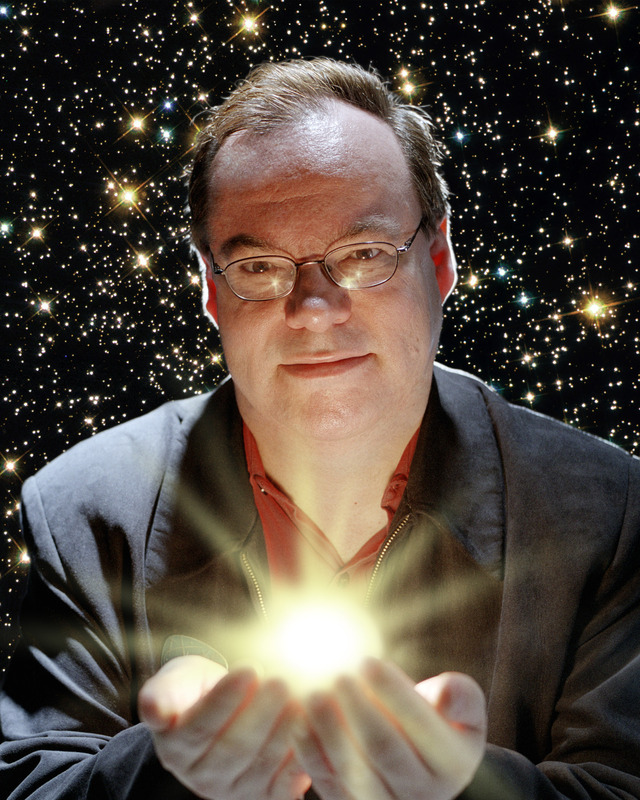 Dr. Matthews is the Mission Scientist leading the Canadian Space Agency’s MOST project, and a Professor of astrophysics in the Department of Physics & Astronomy at the University of British Columbia. He and his team are trying to revise the biography of our Sun – past and future – by studying its neighbours in our Galactic city, the Milky Way. His research sounds more like astromedicine than astrophysics: performing “ultrasound” on stellar embryos, checking on the hyperactivity of a pre-teen sun, and taking the pulses of stars in their twilight years. Dr. Matthews and his team are also using MOST to forecast the weather on planets beyond the Solar System, and they are part of the search for Terra Nova – alien Earths around other stars. Dr. Matthews is a leading expert in the field of stellar seismology: literally using the surface vibrations of vibrating stars to probe their hidden interiors and histories. He was born in Chatham, Ontario, and obtained his B.Sc. degree at the University of Toronto, and his M.Sc. and Ph.D. degrees at the University of Western Ontario. Dr. Matthews held Isaac Walton Killam and NSERC Postdoctoral Fellowships at UBC, and an Attaché de Recherche position at the Université de Montreal, before taking on a faculty position at UBC in 1992. Sherry has taught the workshop Exploring the Core Basis of Prayer, nationally and internationally, since 2001. This workshop was passed down to her by Huichol Tsaurirrikame (elder shaman) David Wiley, keepsthefire.org with the support and guida of Grandfather Fire (our heart essence) to return people to powerful and effective prayer. This is now a Lifeways program of the Sacred Fire Community, sacredfirecommunity.org/blog/prayer. Sherry offers prayer coaching and both individual and group companion prayers, which facilitate participants receiving personal guidance from Grandfather Fire on matters of importance to them. 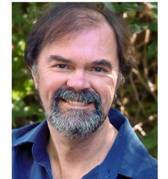 Michael Morwood has over 30 years experience in retreat, education, parish and youth ministries in Australia. Since 1990 he has worked in adult faith formation in almost every diocese of Australia. He is interested in helping Christiansexamine what they believeand why they believe it, what they imagine and why they imagine the way they do. He is interested in helping Christians articulate faith in Jesus in ways that resonate with contemporary understanding of our place in the universe. India, Peru and in several African countries, facilitating programmes on Adult Faith Development. His best known books include Quantum Theology(1996 – revised in 2004), Reclaiming Spirituality (1998), Evolutionary Faith(2002), Catching Up with Jesus (2005), The Transformation of Desire(2007), Ancestral Grace (2008), Jesus in the Power of Poetry (2009). Layman Pascal is a public speaker, nondual theologian and yoga & meditation teacher based in Victoria, British Columbia. His family has lived in the coastal islands for five generations so he is very local! He is a writer on themes of cultural philosophy, shamanism and organic spiritual development. Lately he has been active as a board member of the Foundation for Integral Religion and Spirituality and a founder of the Beyond Interfaith project. Prior to becoming a counselor, I worked as a dental hygienist for 25 years. One of the primary roles of a dental hygienist is helping people change and grow into living healthier lives. So, my avocation throughout that first career was to study psychology, personal development and holistic health. It was a natural next step to want to work more directly with people about the whole of their lives (not just their teeth!) In mid-life, I completed a M.A. in Psychology from Antioch University in Seattle, Washington and began a private counselling practice in 1993. My background as a health professional led me to study body-oriented psychotherapies. I’ve completed certification in Integrative Body Psychotherapy (IBP). I have pursued further training in Lifespan Integration for healing trauma, and I am a certified Imago Relationship Therapist. I also have a deep love and concern for our relationship with the natural world, which led me to train to lead retreats and workshops in Ecopsychology. Jill is recognized internationally as the pioneer of the Sound Healing and Ancestral Healing movements, through her rediscovery of ancient vocal techniques, the power of group chant, and the spiritual potential of the voice as a magical instrument for healing and meditation. She gives workshops throughout the world, “Healing Voice”, teaching diverse forms of sacred chant, and especially Mongolian overtone chanting and “Healing the Family and Ancestors”, combining Family Constellations with chant and ceremony. Author of “The Mystic Spiral”, and “Overtone Chanting Meditations”, she guides non-singers as much as international opera performers in their pursuit of the lost voice. Visit her website. Siobhan Robinsong is co-founder of Hollyhock, founder of the Gettin’ Higher Choir,one of North America’s largest no-audition choirs andand has been busting the myth of the non-singer since 1994. Rupert is a biologist and author of more than 80 technical papers and 10 books, including Science Set Free. He was a Fellow of Clare College, Cambridge University, where he was Director of Studies in cell biology. He was also a Research Fellow of the Royal Society. From 2005-2010 he was Director of the Perrott-Warrick Project, funded from Trinity College, Cambridge. Visit his website. 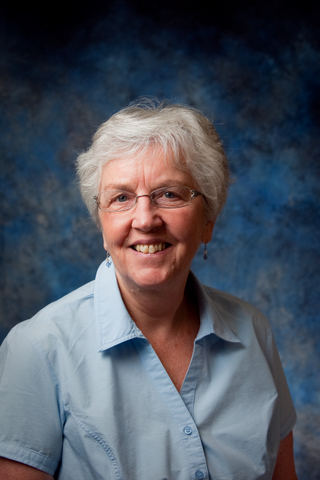 Martha Saunders Ph.D., taught religious studies and women’s studies for many years at Concordia University, Montreal, and at the University of Toronto, specializing in religious and environmental ethics. 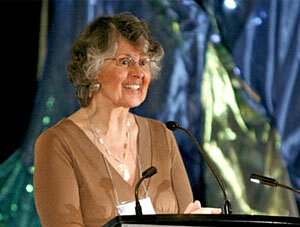 Since 1995 she has been one of the long-time leaders of an independent eco-spiritual community in Toronto, called Ruah. This community lives and celebrates a spirituality inspired by the works of Thomas Berry, Brian Swimme, and others, based in love of the earth and exploring what it means to “reinvent the human” (Thomas Berry) in the evolving cosmos. We believe that an Earth-based spirituality must include a spirituality of liberation that challenges us into right relationship with all other creatures. Brian is Director of the Center for the Story of the Universe and a professor at the California Institute of Integral Studies in San Francisco. He received his Ph.D. from the Department of Mathematics at the University of Oregon in 1978 for work in gravitational dynamics. He brings the context of story to our understanding of the 13.7 billion year trajectory of the universe. Such a story, he feels, will assist in the emergence of a flourishing Earth community. Jonathan has become increasingly involved in transpersonal matters, expanding on his formal training and research in Marine Ecology. Raised a Birthright Quaker, he has studies and practices that include Buddhism, Deep Ecology, Native American Spirituality, drumming and shamanic work with entheogens. Jonathan—scientist, artist, and educator—has worked in secondary and post-secondary settings as a research scientist, naturalist, wilderness guide and graduate faculty member; he holds a PhD in Marine Botany. In his coaching practice, he helps mature adults become elders in the deepest sense. He has also been involved in rites of passage for young men. What he loves most in this world is the play between “not-two” and unabashed individuality, especially in the context of earth literacy and biophyllia. His life is about serving the flow of something greater than himself. A generalist at heart, Jonathan is an experienced facilitator, mentor and practitioner of life-long learning; Jonathan’s learning history is constantly being up-dated. Louise Taylor, BMus, Orff 3, Dalcroze Crt. Louise has an extensive background in both music and dance. She has taught at the Chicago Latin school, The Buckingham Friends School (Pennsylvania) the Victoria Conservatory of Music and the Mont Kiara International School (Malaysia). She is co-founder of the International music society for Pre and Perinatal Development (IMSPND) and has given workshops in Singapore, Thailand, Malaysia, Australia and Finland under the auspices of Early Childhood Music Education and UNESCO. Louise founded Music Education Therapeutic Applications (META) which continues to function in Malaysia. Louise has always brought international folk and sacred circle dance to the many places she has lived. She continues to teach music privately. Bernice has enjoyed sacred circle dance since 1995 when she first danced with June Watts, who is credited with bringing the tradition to Canada from the UK. Since then, she has been an enthusiastic participant, leader and workshop provider, claiming many influences –besides June, Judy King and Mandy de Winter, Laura Shannon, Friedle Kloke-Eibl, Stefan and Bethan Freedman, Lesley Laslett as well as numerous Folk Dance teachers. Consequently, the repertoire is as varied as these leaders. In earlier years, Bernice taught high school; currently she is a spiritual care and counseling specialist –primarily with Psychiatric patients and clients. Her occupations keep work and play life balanced, integrated and joyful. She is a strong proponent of circle dance as spiritual practice because of its accessibility to all but mostly because it honors our individual bodies and as such, the body of Earth. Margaret is the author of The Cosmic Pilgrim, (2010, Wipf & Stock, Eugene, Oregon) which is a spiritual exploration of the new story of science and religion through journeying with Teilhard de Chardin, Thomas Berry and Brian Swimme. 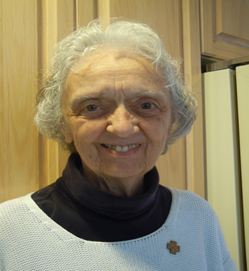 Margaret started her career as a teacher but then moved to retreat work, parish ministry, and adult education. Margaret earned an MA in Theological Studies in 2018. Currently she is co-ordinating programming with Gertie Jocksch for Programs in Earth Literacies. Ian Wight, a Canadian Scot, has been – in roughly equal measure, over the past four decades or so – an educator of professional planners, and a professional planning practitioner. He is now exploring his re-firement (a re-placing of retirement), kindling his abiding passions, which include an advocacy of planning as placemaking, as wellbeing by design. True to his Scottish ancestry, Ian loves a really good ‘blether’ that bridges the personal, the professional and the spiritual. In this offering he draws particularly on application of an integral perspective, grounded in a selection of blessings from John O’Donohue’s To Bless the Space Between Us. Mary Jane Wilson CND MA, Cert. A. Th. 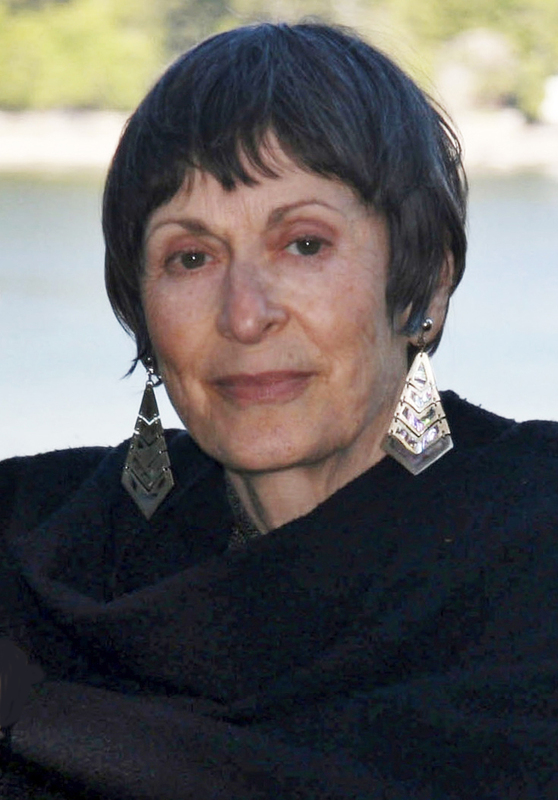 Mary Jane is a certified Art Therapist, Spiritual Director and Psychosynthesis Counsellor. She studied with Mathew Fox, Thomas Berry and Brian Swimme at the Creation Centered Spirituality Institute founded by Mathew Fox. When completing her MA, Mary Jane had the opportunity to participate in extensive dream work with Jungian analyst John Giannini who introduced her to healing mandala. She also studied the Creation Centered Mystics one of whom is Hildegard of Bingen. She has worked extensively in the area of healing with a particular focus on women and children, especially with First Nations. She conducts retreats and workshops in Canada and USA. Bill Wilson is a Jesuit priest with an M.A. in Sociology and a PhD in Social Psychology. He has worked in high schools, parishes, with first nations, the Director of Smith Alcohol and Drug Dependency Clinic, Director of Manresa Retreat Centre. He is currently a spiritual director and facilitator. Bill enjoys poetry and classical music. He is an avid reader of world affairs, ecology and and theology.